Home > Mosquitoes Products > Sector Misting Concentrate 64 oz. 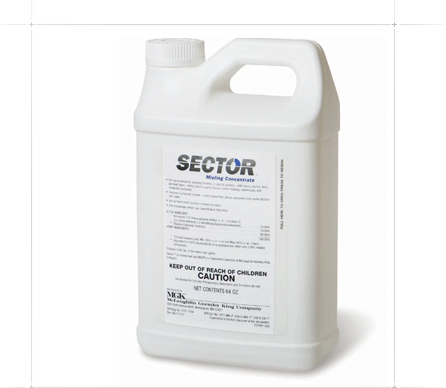 Sector concentrate is for use in automatic spraying systems, in animal quarters, cattle barns, dairies, dairy and beef barns, milking parlors, poultry houses, swine housing, warehouses, and residential backyards.This polymeric surfactant system, This misting solution will not harm common ornamental plants. It kills mosquitos which may transmit West Nile Virus. One 64oz (1/2 gal) container makes solution for a 55 gallon drum for misting equipment. Would you like to see the Sector product MSDS sheet? How about the Sector product Label?